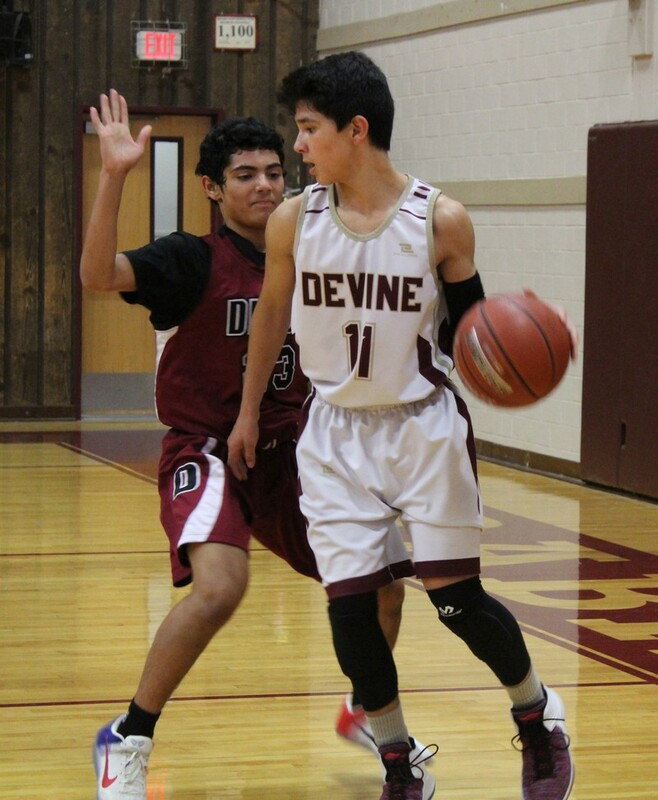 After a long holiday break, the Freshman Warhorses came out fighting against Cotulla on January 4th. Taking control of the game early, the Warhorses took the lead by the end of the first quarter and held it the rest of the game. The Cowboys had to work hard to keep up with the Warhorses’ offense that was unstoppable. The Freshman team won this match with an impressive 60-36 final score. Scores by quarter: Q1 10-2, Q2 20-15, Q3 38-29, Q4 60-36. “We played maybe one of our most complete games against Cotulla. Four guys scored in double figures led by Peyton Carr,” said Coach Quenton Sanders. Peyton Carr led with 18 points, Brian Schaefer 14, Chris Ortiz 11, Robert Elizondo 5, Zack Rico and Hayden DuBose 4 each, and Cody Trammel and Xavier Contreras 2 each. The Billies were a tough opponent to face right before district and on January 8th, the Freshman Warhorses lost 18-60 to them. “Fredericksburg let us have it, but I am excited to see how we bounced back versus another great program, Crystal City,” said Coach Sanders. Schaefer had 8 points, Carr 5, Trammel 3, and DuBose 2. The Freshman Warhorses will play Hondo at home Tuesday night and then travel down to Carrizo Springs January 25th.